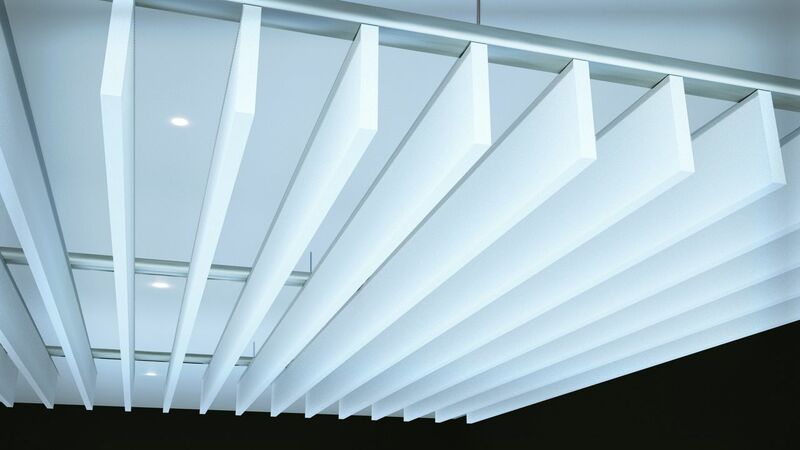 The Focus Baffle is a design-friendly, elegant linear ceiling, made up of polyester profiles. 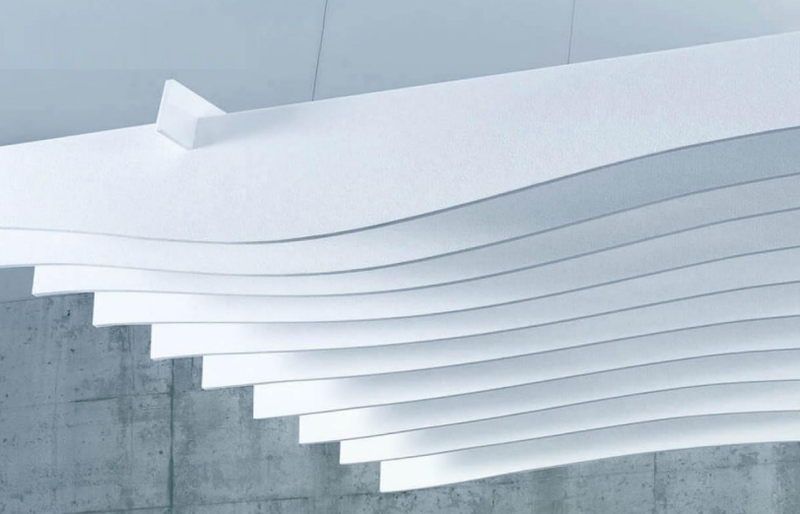 Focus polyester baffle sheets have been acoustically tested for sound absorption performance and perform very well. • Appropriate for high end airports, malls, offices, foyers, museums and commercial areas. • The baffles are aesthetically pleasing and easy to maintain. Unlike timber, the baffle doesn’t warp. • Available in 9mm and 18mm with variable drops, 12mm and 24 mm are also available on indent (MOQ apply). • High quality with design flexibility, thus can be manufactured to bespoke designs to suit architectural requirements.